Have you ever wondered what it would be like to live your life off the grid? Have you wished you could shed the complications of modern society and live in the wilderness, using only the things nature has provided? 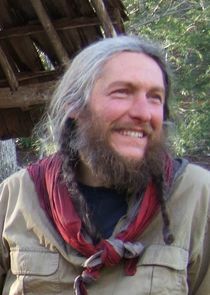 Meet Eustace Conway, Tom Oar and Marty Meierotto of the new History series "Mountain Men", three men who have devoted their lives to survival in its simplest form. But how simple is it really? From the rugged Blue Ridge Mountains of North Carolina to the seven-month-long winters on the Yaak River in Montana to the frigid northern range of Alaska, the country is full of some very unforgiving terrain. Watch as these men face off against mudslides, falling trees, ravaging weather and even hungry animals, to make sure they obtain the food and supplies they will need to make it through the brutal winter months ahead.